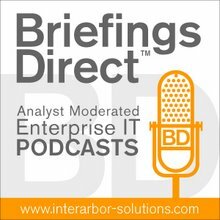 This latest BriefingsDirect mobile development innovation discussion examines how Globe Testing, based in Madrid, helps startups make the leap to cloud-first and mobile-first software development. We'll explore how Globe Testing pushes the envelope on Agile development and applications development management using HP tools and platforms. To learn more about modern software testing as a service we're joined by Jose Aracil, CEO of Globe Testing, based in the company's Berlin office. The discussion is moderated by me, Dana Gardner, Principal Analyst at Interarbor Solutions. Gardner: Tell us about Globe Testing. Are you strictly a testing organization? Do you do anything else? And how long have you been in existence? Aracil: We're a testing organization, and our services are around the Application Development Management (ADM) portfolio for HP Software. We work with tools such as HP LoadRunner, HP Quality Center, HP Diagnostics, and so on. We've been around for four years now, although most of our employees actually come from either HP Software or, back in the day, from Mercury Interactive. So, you could say that we're the real experts in this arena. Gardner: Jose, what are the big issues facing software developers today? Obviously, speed has always been an issue and working quality into the process from start to finish has always been important, but is there anything particularly new or pressing about today's market when it comes to software development? Aracil: Scalability is a big issue. These days, most of the cloud providers would say that they can easily scale your instances, but for startups there are some hidden costs. If you're not coding properly, if your code is not properly optimized, the app might be able to scale -- but that’s going to have a huge impact on your books. Therefore, the return on investment (ROI) when you're looking at HP Software is very clear. You work with the toolset. You have proper services, such as Globe Testing. You optimize your applications. And that’s going to make them cheaper to run in the long term. There are also things such as response time. Customers are very impatient. The old rule was that websites shouldn't take more than three seconds to load, but these days it's one second. If it's not instant, you just go and look for a different website. So response time is also something that is very worrying for our customers. Gardner: So it sounds like cloud-first. We're talking about high scale, availability, and performance, but not being able to anticipate what that high scale might be in any given time. Therefore, creating a test environment, where you can make the assumption that cloud performance is going to be required and test against it, becomes all more important. Aracil: Definitely. You need to look at performance in two ways. The first one is before the app goes into production in your environment. You need to be able to optimize the code there and make sure that your code is working properly and that the performance is up to your standard. Then, you need to run a number of simulations to see how the application is going to scale. You might not reach the final numbers, and obviously it's very expensive to have those staging environments. You might not want to test with large numbers of users, but at least you need to know how the app behaves whenever you increase the load by 20 percent, 50 percent, and so on. The second aspect that you need to be looking at is when the app is in production. You can't just go into production and forget about the app. The second aspect that you need to be looking at is when the app is in production. You can't just go into production and forget about the app. You need to carry on monitoring that app, make sure that you anticipate problems, and know about those problems before your end users call to tell you that your app is not up and running. For both situations HP Software has different tools. You can count on HP Performance Center and HP Diagnostics when you're in preproduction in your staging environment. Once you go live, you have different toolsets such as AppPulse, for example, which can monitor your application constantly. It's available as software as a service (SaaS). So it's very well-suited for new startups that are coming out every day with very interesting pricing models. Gardner: You're based in Berlin, and that's a hotbed of startup activity in Europe. Tell us what else is important to startups. I have to imagine that mobile and being ready to produce an application that can run in a variety of mobile environments is important, too. Aracil: Definitely. Mobile is very hot right now in Berlin. Most of the startups we talk to are facing the same issue, which is compatibility. They all want to support every single platform available. We're not only talking about mobile and tablet devices, but we're also talking about the smart TVs and the wide array of systems that now should support the different applications that they're developing. So being able to test on multiple operating systems and platforms and being able to automate as much as possible is very important for them. They need the tools that are very flexible and that can handle any given protocol. Again, HP Software, with things such as Unified Functional Testing (UFT), can help them. Mobile Center, which was just released from HP Software, is also very interesting for startups and large enterprise as well, because we're seeing the same need there. Banking, for example, an industry which is usually very stable and very slow paced is also adopting mobile very quickly. Everyone wants to check their bank accounts online using their iPad, iPhone, or Android tablets and phones, and it needs to work on all of those. Most of the startups we talk to are facing the same issue, which is compatibility. They all want to support every single platform available. Gardner: Now going to those enterprise customers, they're concerned about mobile of course, but they're also now more-and-more concerned about DevOps and being able to tighten the relationship between their operating environment and their test and development organizations. How do some of these tools and approaches, particularly using testing as a service, come to bear on helping organizations become better at DevOps? Aracil: DevOps is a very hot word these days. HP has come a long way. They're producing lots of innovation, especially with the latest releases. They not only need to take care of the testers like in the old days with manual testing, automation, and test management. Now, you need to make sure that whatever assets you're developing on pre-production can then be reused when you go in production. Just to give you an example, with HP LoadRunner, the same scripts can be run in production to make sure that the system is still up and running. That also tightens the relationship between your Dev team and your Operations team. They work together much more than they used to. Gardner: Okay, looking increasingly at performance and testing and development in general as a service, how are these organizations, both the startups and the enterprises, adapting to that? A lot of times cloud was attractive early to developers, they could fire up environments, virtualize environments, use them, shut them down, and be flexible. But what about the testing for your organization? Do you rely on the cloud entirely and how do you see that progressing? Aracil: To give you an example, customers want their applications tested in the same way as real users would access them, which means they are accessing them from the Internet. So it's not valid to test their applications from inside the data center. You need to use the cloud. You need to access them from multiple locations. The old testing strategy isn't valid any more. For us, Globe Testing as a Service is very important. Right now, we're providing customers with teams that are geographically distributed. They can do things such as test automation remotely, and that can then be sent to the customers so they are tested locally, and things such as performance testing, which is run directly from the cloud in the same way as users will do. And you can choose multiple locations, even simulating the kind of connections that these users are using. So you can simulate a 3G connection, a Wi-Fi connection, and the like. Gardner: I suppose other trends we're seeing are rapid iterations and microservices. The use of application programming interfaces (APIs) is increasing. All of these, I think, are conducive to to a cloud testing environment, so that you could be rapid and bring in services. How is that working? How do you see your customers, and maybe you can provide some examples to illustrate this, working toward cloud-first, mobile-first and these more rapid innovations; even microservices? Aracil: In the old days, most of the testing was done from an end-to-end perspective. You would run a test case that was heavily focused on the front end, and that would run the end-to-end case. These days, for these kinds of customers that you mentioned we're focusing on these services. We need to be able to develop some of the scripts before the end services are up and running, in which case things such as Service Virtualization from HP Software are very useful as well. For example, one of our customers is Ticketmaster, a large online retailer. They sell tickets for concerts. Whenever there's a big gig happening in town, whenever one of these large bands is showing up, tickets run out extremely quickly. Their platform goes from an average of hundreds of users a day to all of a sudden thousands of users in a very short period of time. They need to be able to scale very quickly to cope with that load. For that, we need to test from the cloud and we need to test constantly on each one of those little microservices to make sure that everything is going to scale properly. For that, HP LoadRunner is the tool that we chose. We need to be able to develop some of the scripts before the end services are up and running. Gardner: Do you have any examples of companies that are doing Application Development Management (ADM), that is to say more of an inclusive complete application lifecycle approach? Are they thinking about this holistically, making it a core competency for them? How does that help them? Is there an economic benefit, in addition to some of these technical benefits, when you adopt a full lifecycle approach to development, test, and deployment? Aracil: To give you an example of economic benefit, we did a project for a very large startup, where all their systems were cloud-based. We basically used HP LoadRunner and HP Diagnostics to look at the code and try to optimize it in conjunction with their development team. By optimizing that code, they reduced the amount of cloud instances required by one-third, which means a 33 percent savings on their monthly bill. That’s straight savings, very important. Another example is large telecommunication company in Switzerland. Sometimes we focus not only on the benefits for IT, but also the people that they are actually using those services. For example those guys that go to their retail shops to get a new iPhone or to activate a new contract. If the systems are not fast enough, sometimes you will see queues of people, which turns into lower sales. If you optimize those systems, that means that the agents are going to be able to process contracts much quicker. This specific example will reduce to one-fifth of the time by using Performance Center. That means that the following Christmas, queues literally disappear from all those retail shops. That turns into higher sales for the customer. Gardner: Jose, what about the future? What is of interest to you as a HP partner? You mentioned the mobile test products and services. Is there anything else particularly of interest, or anything on the big data side that you can bring to bear on development or help developers make better use of analytics? Aracil: There are a number of innovations that are coming out this year that are extremely interesting to us. These are things such as HP AppPulse Mobile, StormRunner, both are new tools and they are very innovative. When it comes to big data, I'm very excited to see the next releases in the ALM suite from HP, because I think they will make a very big use of big data, and obviously they will try to get all the information, all the data that testers are entering into the application from requirements. The predictive test and the traceability will be much better handled by this kind of big data system. I think we will need to wait a few more months, but there are some new innovations coming out in that area as well.